Patients suffering with psoriatic arthritis can normalize their condition and reduce the severity of their symptoms with a few dietary changes. You simply have to avoid the unhealthy food items that caused certain health ailments, such as inflammation, weight gain and heart diseases. Psoriatic arthritis is a disease that can be controlled and normalized with the aid of nutrient-rich foods and a healthy, well-balanced diet. This autoimmune disease tends to generate amongst 30% of the patients that have psoriasis, and it causes symptoms such as inflammation, pain, aching joints, stiffness and swelling. Excessive weight gain can cause severe pressure upon the joints, which further worsens the symptoms of psoriatic arthritis, and increases the severity of joint deterioration over the passage of time. All psoriatic arthritis patient must take great care to eliminate all risk foods that threaten to cause inflammation and weight gain, along with loading up their daily diet with healthy and wholesome foods. Researchers believe that planning a healthy and balanced diet for psoriatic arthritis patients is also essential because psoriasis puts them at a greater risk for developing several other grave health ailments, like obesity, high blood pressure levels, diabetes, high cholesterol levels and heart diseases. Therefore, it is extremely important for patients suffering from psoriatic arthritis along with psoriasis to consume foods that fortify and shield their heart, and aid them in normalizing their blood sugar and cholesterol levels. They should make a goal to avoid all foods that provide them nothing but empty calories, raise their cholesterol, trigger obesity and widespread inflammation. We’ve picked out all the foods that you must avoid, along with providing healthier alternatives to add to your daily diet. Sugar-loaded baked items, candies, chocolates, and all other sweet treats seldom provide any nutritional value, and their excessive consumption causes raised blood pressure levels, rapid weight gain, and raise cholesterol levels, which contribute to the risk factors of heart ailments, diabetes and several types of cancers. Moreover, the regular consumption of sugar and refined starch can increase the development of cytokines, which are harmful pro-inflammatory molecules. 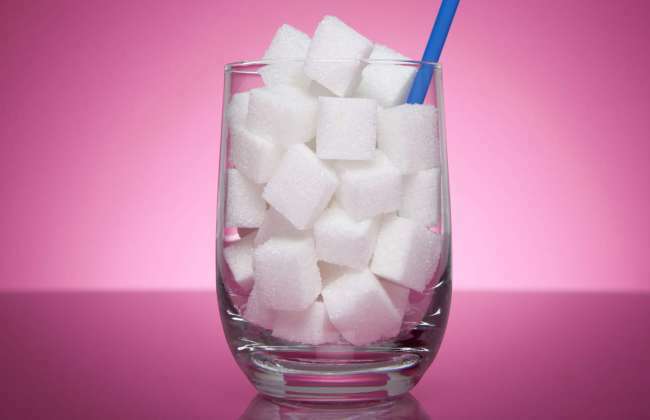 Cutting down sugar consumption is extremely important for both, normal individuals and those suffering from psoriatic arthritis. A healthier and nutritious alternative to enjoy a succulently sweet taste is to munch on fresh fruits, such as frozen berries, grapes, watermelon, and bananas dipped in dark chocolate. Natural and fresh fruits are filled with essential nutrients and antioxidants, while artificial sugars only pack up empty calories.